The Ultra Dome Pommel Horse, also referred to as the UltraDome Gymnastics Mushroom, features a molded polyethylene dome with a detachable padded top. This unique piece of gymnastics training equipment is easily portable and very stable. The Ultra Dome Mushroom is designed to be 'stacked', adding nearly 5" for taller beginners. The ideal pommel horse trainer for the club, gym or home. Mat Size: 6'x6'. Mat folds in half for easy storage., Weight: approx. 8 lbs. 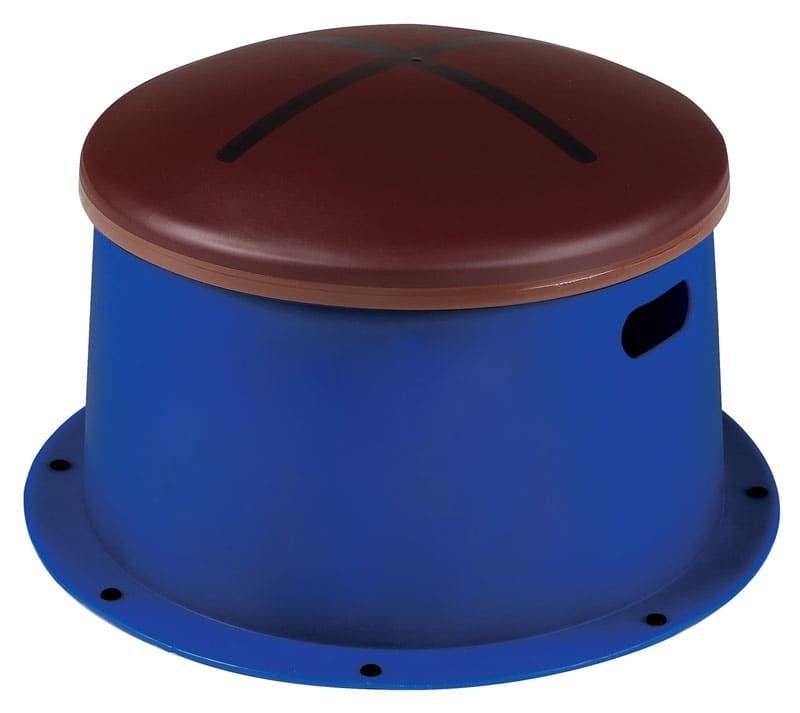 The Ultra Dome Pommel Horse, also referred to as the UltraDome Gymnastics Mushroom, features a molded polyethylene dome with a detachable padded top. 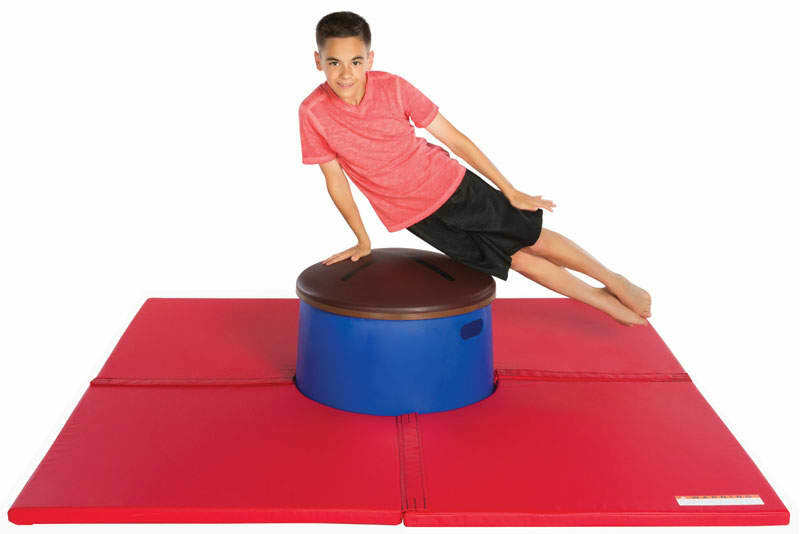 This unique piece of gymnastics training equipment is easily portable and very stable. The Ultra Dome Mushroom is designed to be 'stacked', adding nearly 5" for taller beginners. The ideal pommel horse trainer for the club, gym or home. 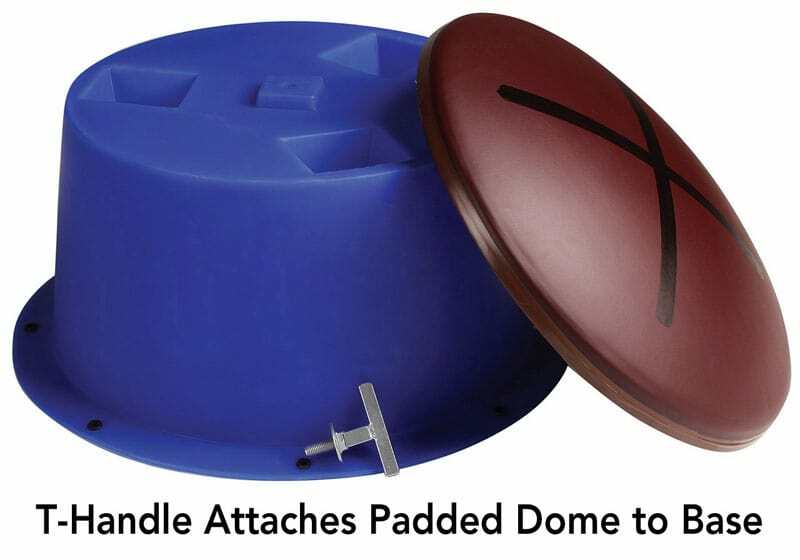 Molded polyethylene dome with detachable padded top. Designed to be 'stacked' adding nearly 5" for taller beginners. Size: 28" diameter, 18" tall. 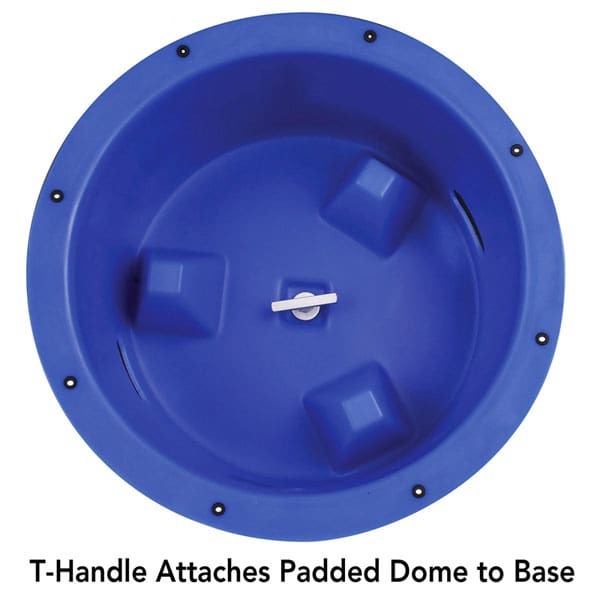 Designed to fit perfectly around the UltraDome Pommel Horse Training Mushroom. 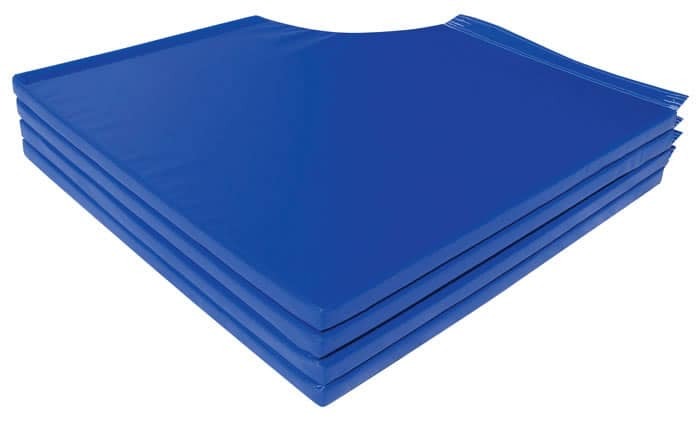 This 6'x6' mat is filled with 1-3/8" thick crosslink foam, covered with 18oz vinyl, and folds in half for easy storage. Made to fit virtually all Dome Trainers. Size: 6' x 6' x 1-3/8"
Combo comes with Trainer and Mat. Mat folds in half for easy storage. Available in Royal Blue or Red. Please allow 5-6 weeks for production and delivery.